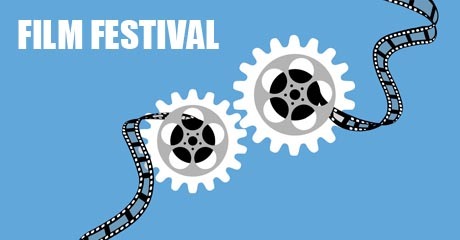 New Hope Film Festival, touted as the “emerging Sundance East” in a June 2012 article in The Huffington Post, is excited to announce our Official Selections for the 2013 Fourth Annual Festival that will be held July 12– 21 in New Hope and Doylestown, Pennsylvania. The judges selected 111 official selections from 17 countries and Antarctica and many are world and U.S. premieres. Countries represented include USA, Canada, Turkey, Chile, Russian Federation, Jordon, India, Germany, Poland, France, People’s Republic of China, Mexico, Peru, Singapore, Australia, Czech Republic, and Belgium. We are proud to present this world class lineup of independent films: 9 full-length feature films including 2 student features, 14 documentaries, 4 Mid-Atlantic Category films, 12 music videos, 12 screenplays, 24 short films, 36 student shorts, and the festival’s first webisode. Filmmakers will be traveling from around the country and abroad to attend screenings and will participate in question and answer sessions following the films. Films will be screened in three venues: New Hope Arts Center, Stephen J. Buck Memorial Theater and The County Theater. Visit our blog in the News section on our website to view trailers for some of these cutting edge films and follow us on Twitter for updates and breaking news. Tickets and the Official Program Guide will be available at newhopefilmfestival.com in June. New Hope Film Festival was the brainchild of D. F. Whipple, an author, screenwriter, and long-time resident of the New Hope, Bucks County area. Whipple formed New Hope Film Festival with a group of artists who shared his passion for discovering and nurturing independent filmmakers, especially those who’ve been overlooked by established festivals. This includes international films, which the Festival is eager to attract.